This is the second of a two part series, click here for picks 1-15. If nothing else, the 2011 NBA Finals proved how much fit really matters in professional basketball. A Dallas Mavericks team that didn't have as much star power or athleticism as the Miami Heat showed that playing as a team and having pieces on the floor that complement each other can win championships. Guys like Tyson Chandler, DeShawn Stevenson, Peja Stojakovic, and J.J. Barea might not be complete players but because of the way the Mavericks used them, they didn't have to be. To put it simply, winning in the NBA isn't always about assembling a team of the five most talented players you can find, it's more about assembling a team that fits well together. Obviously you need your Dirk Nowitzki's if your team is going to experience success at the highest level of competition and it's certainly easier said than done to draft players who truly fit your system, but with another NBA Draft in the books I thought I'd take a look at how each first round pick appears to fit on their new NBA team. There might still be some trade movement with these picks (which seems to be getting more confusing for some reason now that we have access to things like Twitter and 24/7 sports coverage) and free agency certainly will affect how these rookies will fit on their new teams, but for now here's how things look. The 76ers needed to add size on draft night and it's safe to say they accomplished that when they selected Nikola Vucevic's 7'0'', 260-pound frame with the 16th pick. Unlike that 6'10'' player who suddenly shrinks to 6'8'' on measurement day at the draft combine, Vucevic was one of those rare players who actually measured taller than he was listed at in college, and scouts took notice. True seven-footers who can play inside and out are extremely rare and Vucevic showed for much of his junior season that his versatile offensive game could be successful in the NBA. 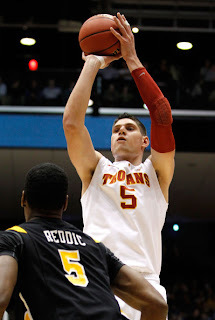 What makes the former USC Trojan an even better addition to a young 76ers squad is that the only centers on last year's team were Spencer Hawes, Marreese Speights, and Tony Battie, a trio which makes Joel Anthony look like Dwight Howard. Maybe Philly's options at the 5 weren't quite that bad, but Vucevic should certainly give them a more skilled option to anchor the post and considering that the team made the playoffs last year and seems to have stopped shopping Andre Iguodala for at least the next few days, the addition of a true center could help this team take the next step. When David Stern said the name "Iman Shumpert" on draft night you could actually hear the entire city of New York cringe. 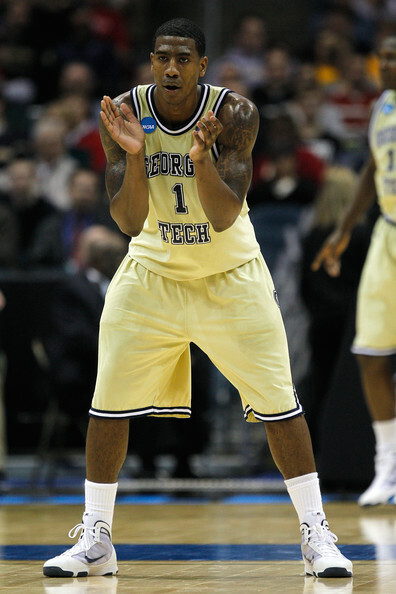 With Chris Singleton and Kenneth Faried still on the board, the Knicks opted to take the former Georgia Tech point guard to bolster their perimeter defense and with the hope that his great athleticism and size will help him make a difference at the next level. The problem with the Knicks adding a great perimeter defender to their otherwise porous unit is that Shumpert is far from a consistent outside shooter, having hit just 27.8 percent of his three-pointers last season. And with opposing teams focusing their attention on Carmelo and Amare, it appears that the strategy will be to dare the 6'6'' guard to shoot and live with the consequences. When you add in the fact that many have questioned Shumpert's ability to play the point in the NBA, it certainly seems like the Knicks drafted a player without a true position. At the same time, there's certainly a lot to like about Shumpert's game which features a tantalizing combination of size, strength, athleticism, length, and a flare for defense. As anyone who watched the Knicks struggle to defend last season will tell you, they certainly need players who can excel on that side of the floor, but the question becomes, will Shumpert be able to use these tools to become an effective role player for the Knicks, or will their fan base be longing for Chris Singleton? 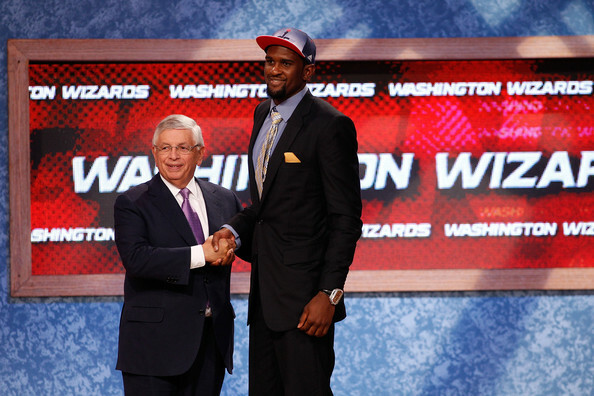 With the Knicks passing on Singleton, a move which no doubt had many New Yorkers screaming obscenities at their television, the Wizards seemed more than happy to select the defensive minded forward with the very next pick. 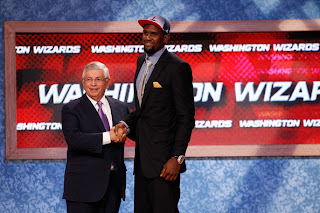 As I said earlier, Washington is trying to build their team around John Wall and adding a versatile player like Singleton was another great decision. If you've followed any draft coverage at all, it's pretty widely accepted that Singleton is the premier defensive player in the 2011 draft and his combination of size and athleticism should allow him to guard three or four positions in the NBA. One of the things I like most about Singleton is that he knows he will make his living in the NBA as a defender and not only is he ok with this idea, he seems to love it. In addition to his ability to lock opposing players down on defense, Singleton is yet another young guy on this Washington team who will be able to run the floor and he's also shown that he can knock down long distance shots, even if he's not the most polished shooter just yet. Players with Singleton's size, athleticism, and ability are always in demand in the NBA, and although he will never be a superstar, he's the kind of guy that inhabits successful teams. Brandon Jennings and Andrew Bogut are two players that the Bucks can build around for the foreseeable future, but they're going to need some serious help if this team is ever going to contend in the Eastern Conference. A young player like Tobias Harris is certainly an interesting pick at this point in the draft, and his versatile game could develop into something special if he's given a chance to grow. At the same time, Harris is joining a Bucks team that has a lot of guys who may prevent him from seeing much playing time early on. Luc Mbah a Moute, Ersan Ilyasova, Chris Douglas-Roberts, and Carlos Delfino should all be back next season and because Harris is such a versatile player, it seems likely that he will be competing with all of these guys in some capacity. If he was a better athlete, Harris would have been a likely top 10 pick and he's also been slapped with the dreaded "tweener" label due to his 6'8'' 225 pound frame. But when looking at the former Tennessee forward, it's important to keep in mind that he doesn't turn 19 until the middle of July (meaning he's going to get bigger and stronger) and he has the potential to play an effective point forward spot in the NBA while also drawing some comparisons to Shane Battier. Harris should be a solid contributor in the NBA for years to come, but how the Bucks plan on using a player of his skill set will surely go a long way in determining how long it takes him to realize this potential. Word on the street is that Motiejunas has some Andrea Bargnani-like tendencies to his game, meaning that he is a gifted offensive player who avoids defense and rebounding whenever possible. The 20-year old from Lithuania who sports a rail-thin 7'0'' 220 pound frame will need to put on a substantial amount of weight if he's going to stand a chance in the NBA. Picking Motiejunas with the 20th selection in the draft, Houston obviously liked the value they were able to get late in the first round, but adding a seven-footer who has a few years of development ahead doesn't figure to help the team very much in the immediate future. What does seem to fit about Houston adding a player as offensively gifted as Motiejunas to their roster, is that he could potentially develop into a solid stretch 4 someday and give them something that none of the other forwards on their roster can. But in order for that to happen, Motiejunas will need to put on a fair amount of weight, work very hard at not becoming a defensive liability, and learn to become more of a factor on the boards. Many (including myself) were surprised when Portland selected Nolan Smith with the 21st overall pick, but he figures to be one of the more sure things of the 2011 draft. It's pretty clear that Smith will never be a superstar in the NBA, and there's a good chance that he won't ever be a starter either, but he should be able to provide nice depth for the Trailblazers and do so pretty much right away. In Nolan Smith, Portland is getting a soon-to-be 23 year-old who has just completed four years of high level college basketball and won't be shy about working extremely hard to make a difference in whatever capacity his team needs him to. Portland just grabbed Raymond Felton in a draft day trade and they figure to pair him with Wesley Matthews to make a pretty solid starting back court, but the team certainly isn't overflowing with depth at either guard position. Elliot Williams, Armon Johnson, Jon Diebler, and the ticking time bombs that are Brandon Roy's knees figure to be coming off the Portland bench next season, meaning that there's certainly a place for a player like Smith to see some minutes and make a difference as a penetrator, defender, and shooter. Many thought this pick was a reach, but to me, it seemed more like a team that has their starting rotation set and is simply looking for a complementary player who they know will be ready to contribute right away. They appear to have gotten that in Nolan Smith. 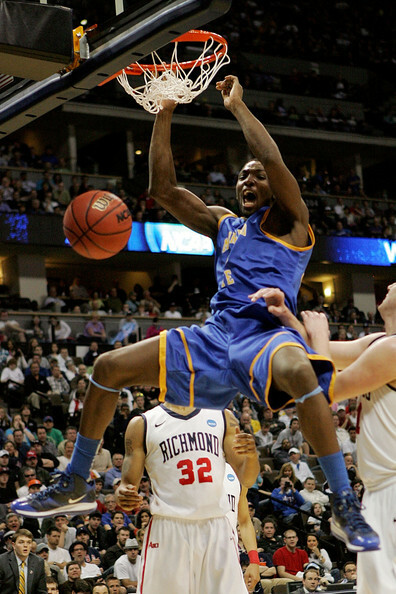 Whoever drafted Kenneth Faried knew exactly what they were getting. The 6'8'' New Jersey native has a fire for rebounding the ball that few players in the world can match. Faried also approaches the game of basketball in a refreshing way and when he's on the court, you know that he's giving everything he has. His hustle and grit shouldn't be underestimated and despite the fact that he's a little undersized to be a true power forward in the NBA, it doesn't seem like that's going to stop him from being a difference maker on the boards and on defense. With this pick, Denver continued to add to their already impressively deep roster and although Faried will be competing with players like Al Harrington, Chris Andersen, and Timofey Mozgov for front court minutes, none of those players brings the kind of intensity or hustle that the former Morehead State standout possesses. 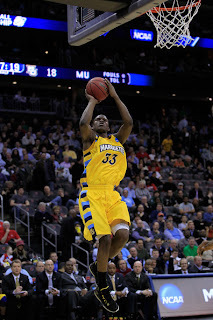 If you're drafting Faried you obviously aren't expecting very much out of him on the offensive end of the floor (aside from some rebounds and put backs) but just like Chris Singleton, Faried knows what his role in the NBA is going to be and he will embrace it. There really aren't too many players in the NBA like Faried anymore and, in my opinion, every team could use an athletic hustle guy who concentrates on rebounding and defense. Because of this, I feel that he's a good fit on almost any team and the Denver Nuggets are no exception. Aside from the unintentional comedy which ensued when David Stern tried to pronounce "Nikola Mirotic", it seems like the Bulls got a nice player here. Many scouts and analysts stated that Mirotic had top five talent in this draft class which is why the pick received rave reviews from pretty much anyone who is involved with the NBA. The reason the Bulls were able to select the 6'10'' forward towards the end of the first round was because contract issues with his European team will stop Mirotic from coming to the Chicago for four years. Considering the fact that Mirotic won't play his first game in the NBA for a number of years it's difficult to project how he figures to fit on their team once he finally puts on a Bulls uniform. But if he's as good and versatile as everyone seems to think, it certainly seems like a wise move for Chicago to stash Mirotic in Europe for a few seasons and reap the benefits down the road. Reggie Jackson intrigued plenty of teams towards the bottom of the first round and his supreme athleticism should help him to have a solid career in the NBA. The 6'3'' shooting guard had a very nice season at Boston College and although he generally wasn't mentioned as one of the better players in the nation, the numbers he posted in the ACC (18.2 ppg, 4.3 rpg, 4.5 apg, 50% fg, and 42% 3 pt fg) speak for themselves. At the same time, it's a little difficult to see where another guard fits in an already crowded Oklahoma City back court. In addition to Russell Westbrook and Thabo Sefolosha in their starting five, the Thunder also have Eric Maynor, James Harden, Daequan Cook, and (I guess) Nate Robinson coming off the bench. A situation which wouldn't seem very favorable for another young guard to break into the rotation. Perhaps the Thunder will trade one of the aforementioned guards to make room for their newest first round pick, but as things stand right now, Jackson doesn't have much of a place to contribute on an already stacked roster. It's obvious that the Thunder saw something they liked in Jackson, whose ability to score off the bench and get out in transition fits very well with how the Thunder play. The question becomes, will the Thunder be able to find minutes for him? Marshon Brooks had one of the more impressive seasons in college basketball as a senior at Providence and it's easy to see the potential he has to make an impact at the next level. Brooks has a combination of size and athleticism that NBA teams are looking for and if there's one thing he showed us in college, it's that he isn't afraid to score. 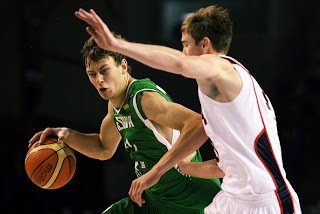 The 6'5'' Georgia native thrives on the offensive side of the floor and although he's not a great shooter, Brooks can put the ball in the basket in many different ways, a skill which should translate to success in the NBA. Adding a player like Brooks to a Nets team that is looking for scoring help makes perfect sense and he will have the luxury of playing alongside Deron Williams and Brook Lopez, two players who should draw their share of attention from opposing defenses. On top of sharing the court with two great offensive players, Brooks is joining a roster which isn't exactly stacked at the shooting guard position and it seems like his main competition for playing time will be Anthony Morrow (and perhaps Travis Outlaw). This looks like a nice fit for Brooks whose athleticism, defense, length, and scoring should all be an asset for New Jersey as they try to claw their way back to NBA relevance. It must have been tough for Jordan Hamilton to slip all the way to the 26th pick in the draft and the fact that he landed on the Nuggets isn't exactly a perfect match for him either. Depending on the contract situation of Wilson Chandler, Hamilton could find himself sitting behind Danilo Gallinari, Chandler, and Al Harrington (who, in his 13 year NBA career has never seen a shot he didn't like). Hamilton doesn't possess a complete game at this point but he should be able to score in the NBA right from the start. Because of this, he will definitely have some value as a spark plug coming off Denver's bench and he has the potential to become the type of player who could go for 20 points if he's feeling it on a given night. An interesting idea for the Nuggets to consider (and possibly the reason why they drafted him in the first place) would be to play Hamilton at shooting guard instead of small forward, where the team has more of a need at this point in time. With J.R. Smith potentially on his way out of Denver, and Arron Afflalo holding onto the starting duties, it would seem like Hamilton would fit nicely as his backup as long as he can do a serviceable job of keeping opposing shooting guards in front of him. Whether or not the Nuggets use Hamilton in this way remains to be seen but they've certainly got a player who can put points on the board in a hurry if they can find a way to get him some playing time. JaJuan Johnson was a player who improved in each of his four seasons at Purdue and it's obvious that he's a hard worker who is committed to becoming better. Standing 6'10'' and possessing above average athleticism, Johnson could carve out a very nice role for himself as a rotational player in the NBA as long as he continues to get stronger. The fact that Johnson improved his outside shooting touch at Purdue bodes very well for his pro prospects as he instantly becomes a threat in pick-and-roll situations and a potential mismatch for slow footed big men. Joining a veteran Celtics roster which includes Kevin Garnett will be an asset to Johnson, who will be given the amazing opportunity to learn from one of the greatest power forwards in NBA history. It's clear that Johnson will have to pay his dues behind Garnett and Glen Davis during his rookie season, but he's in a unique position to learn from some of the most experienced and knowledgeable veterans the NBA has to offer. 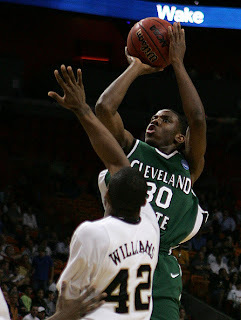 Norris Cole didn't get very much attention playing at Cleveland State (save for his 40 point, 20 rebound game against Youngstown State ) and he definitely flew under the radar as the draft approached, but the Heat got a very solid player who fills a big need with the 28th overall pick. Any team that resorted to starting Mike Bibby in the NBA Finals this past season definitely qualifies as being desperate for a point guard and although Mario Chalmers is a decent option, Cole should have a chance to make a major impact for the Heat in his rookie season. Despite being the primary scorer at Cleveland State, there's plenty of reason to believe that Cole will be able to adjust to life playing next to the big three, a role which should allow him to showcase his solid point guard skills. Any player who is on the same team as LeBron, Wade, and Bosh will absolutely see their share of open shots and easy scoring opportunities, a reality which should allow Cole to hit the ground running relatively early on. As I mentioned, Cole could be battling Mario Chalmers for the starting point guard position next season and even if he ends up coming off the bench, it's clear that the Heat need his help at that position. The Heat's lack of depth and lack of a true point guard were two of their biggest weaknesses last season, and Norris Cole figures to help out in both departments next season, making Miami a great fit for the 6'2'' guard. Before the Spurs selected Joseph with this pick, it seemed like the 6'3'' guard might have left Texas a year too early. Luckily for the Canadian import, Joseph was selected with the second to last pick in the first round and will be getting a guaranteed contract on a talented, veteran roster. The fact that the Spurs traded George Hill in the Kawhi Leonard deal means that Joseph could potentially see some playing time if the 19-year old is ready for the rigors of the NBA. While he's more of a combo guard than a point guard, Joseph has solid range on his jumper (41 percent from three at Texas last year) and he should be able to get into the lane thanks to a quick first step. Another underrated aspect of Joseph's game is his defensive intensity, which impressed me on multiple occasions at Texas last season. The Spurs continued to get younger in this draft having added three players under the age of 21 to their roster, and although the vacancy left by George Hill could potentially be filled by Joseph, it's entirely possible that he will need a year or two to develop into a contributor off the bench. Having been a religious consumer of Big East Basketball for the last few years, I really like what Jimmy Butler can bring to an NBA team. 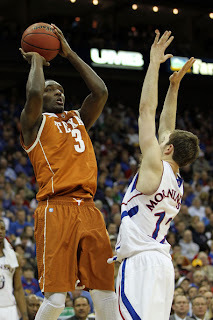 Butler's versatile game should fit well in Chicago and whether the Bulls are asking him to defend, crash the boards, or hit an open jumper, the 6'7'' Texas native should be able to oblige. When you're talking about a talented, young team like the Bulls it's pretty clear that they're a just a few pieces away from being a legitimate threat to bring another title back to Chicago and a player like Butler could be one of those pieces. Obviously, the Bulls could use some help at shooting guard and while Butler doesn't have the scoring ability that most NBA teams value, he does so many things well that he might get some minutes there. There are quite a few players on the Bulls that Butler will be competing with for playing time, but however the Bulls decide to use the former Marquette Golden Eagle, he should be able to make a positive impact when he's on the floor and he could potentially provide them with a viable backup for Luol Deng.